In the depths of the Great War, with millions dead and no imaginable end to the conflict, societies around the world began to buckle. The heart of the financial system shifted from London to New York. The infinite demands for men and materiel reached into countries far from the front. The strain of the war ravaged all economic and political assumptions, bringing unheard-of changes in the social and industrial order. 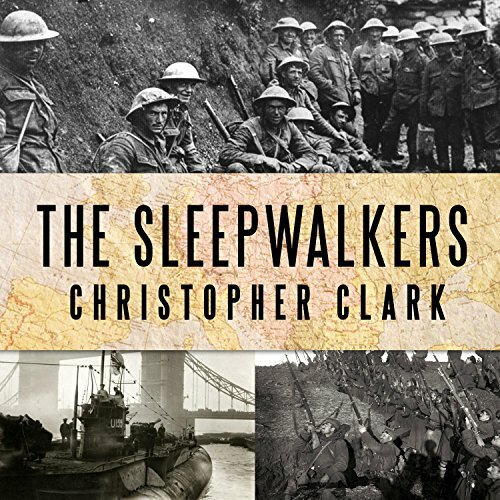 The Sleepwalkers is historian Christopher Clark's riveting account of the explosive beginnings of World War I. Drawing on new scholarship, Clark offers a fresh look at World War I, focusing not on the battles and atrocities of the war itself but on the complex events and relationships that led a group of well-meaning leaders into brutal conflict. Clark traces the paths to war in a minute-by-minute, action-packed narrative that cuts between the key decision centers in Vienna, Berlin, St. Petersburg, Paris, London, and Belgrade, and he examines the decades of history that informed the events of 1914 and details the mutual misunderstandings and unintended signals that drove the crisis forward in a few short weeks. Meticulously researched and masterfully written, The Sleepwalkers is a dramatic and authoritative chronicle of Europe's descent into a war that tore the world apart. Mr. Perkins' was a very straight forward reader - his tone for this book was spot on - and made enjoying the book very easy. The description of the death of the (young) King and Queen of Serbia - I had not heard this story before and it really set the tone of the book as understanding the ruthlessness of the Serbian revolutionaries leads to a completely different reasoning for the causes of First World War. First off, for context, I would describe myself as a casual military historian. 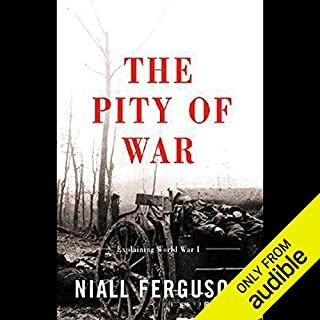 I enjoy reading (and listening) about military history - I tend to be most interested in Napoleonic history - but the late 19th century and WWI is a relatively new subject to me that I am enjoying learning more about. Mr. Clark has written a book which contradicts much of the "conventional" reasoning behind the cause of WWI. Conventionally, WWI is said to have been caused by German aggression - which is a narrative that tends to be enforced by the aggression of Nazi Germany in the 1930s and 1940s. However, by setting the context for this specific time in history, late 1800s up to 1914, the readers begin to realize that it wasn't just Germany that was to blame, but that the Triple Entente had an equal share of blame. It seems that by challenging the conventional notion that Germany alone (or primarily) was to blame for WWI causes some to be uncomfortable.Any book on the cause of WWI will lead to a discussion on who was to blame for the war. This book is not the only book on WWI - and it appears that Mr. Clark is writing to those people who have at the very least a basic understanding of the causes of WWI and those (like myself) that believe (or believed until reading this book) that Germany, and German militarism and aggression, was the primary cause of WWI. 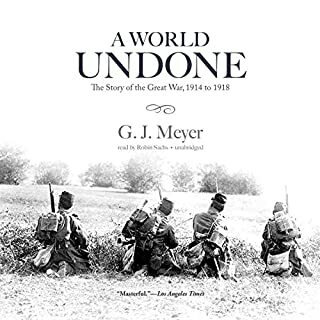 However after listening to this book I feel that I have a more balanced view, and based on the facts Mr. Clark has presented it appears that at the very least France, Russia, and Britain share an equal amount of blame for the start of the war. I found myself on numerous occasions surprised to be hearing new quotes and information that contradicted the "conventional" narrative of Germany being primarily blamed for the war - which lead to me devouring this book. 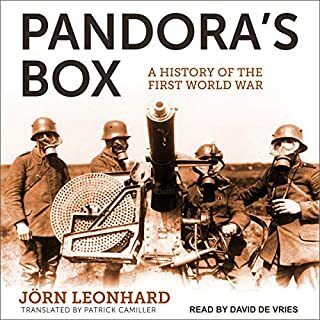 For anyone interested in learning more about the causes of the First World War this book is simply a must read (or listen). If you are really into political/diplomatic history, you will like this book. A more casual reader coming to the topic for the first time might be a bit overwhelmed by the length and detail. The narrator, who is British, does a very good job, including in pronouncing all the various names, place and foreign phrases, which usually is the key stumbling block in books of this type. 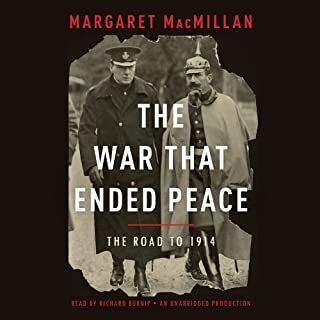 As the author notes, the origin of the First World War is one of the most complex and written about issues in political and diplomatic history. Depending on the era, historians and other have tried to answer such questions as: who was guilty for causing the war, and was the war inevitable due to structural factors of the political environment (rigid military alliance structures and war planning, militarist attitudes in Germany and other countries,for example) or was it largely due to contingent factors (chance events, interplay of personal factors among key actors, etc), which would imply that it could have been avoided. The author's argument is a complex one that I won't summarize here, but, while acknowledging that structural factors were significant, he definitely comes down on the side of those who say the war could have been avoided. One valuable part of the book is that he goes into detail on the internal political maneuvers in each country and within the policymaking apparatus in each county. He notes that political shifts in each country often led to incoherent and shifting policy statements by each country, which made it difficult for the other countries to get a good read on what they were up to. He does this not only for the major powers, but also for Serbia, which you don't often see. His description of Serbia in 1914 reminded me of Serbia in the 1990s, and also of Pakistan from the 1980s to today. Now on to a more controversial topic. The author claims he is not interested in the issue of war guilt. I suspect he is being disingenuous. I believe he comes down quite hard in blaming Serbia, Russia,France, and Britiain for primary responsibility for the war. He does this not by engaging in polemics against these countries or in favor of Germany and Austria, but by simply spending more time discussing the machinations of Serbia and the Entente powers, while spending less time on Germany. Paradoxically, this makes the book more interesting because most books on the subject do the opposite, perhaps with the opposite goal in mind. So you get insights on topics you might not normally see addressed. On the other hand, and maybe I'm too suspicious, I think he is being a bit sneaky here. When he does discuss Germany, he will offer a brief, bland acknowledgement of things he can't get out of (von Moltke's lust for preventative war, German militarism), but try to limit its impact by saying, it didn't have an impact on the policymaking process, other countries did the same thing, etc. Also he basically says that Austria had the right to deliver the ultimatum to Serbia and enforce it. I've read several books about the start of World War 1, but all of them seem to take the view that the war was inevitable because of a myriad of factors. This is the only book that I have read that instead of facing on blame, takes a holistic look at all of the players involved and gives a neutral assessment of their actions. To me, it appeared Christopher Clark tried too hard to write a revisionist history of the outbreak of WW1 but he failed to chart any new ground. The same threads he ties together in "The Sleepwalkers" were already tied together back in the 1920s and 1930s. His work, despite his excellent research and lengthy interpretations, fails for many of the same reasons those older ones failed; the narrative refuses to address Germany's actions in the years leading up to the war and in the immediate crisis of 1914. The actions of Germany Clark does address are dismissed with rationalizations rather than with reasonable explanations. I will give two examples of the problems which confronted me as I read this book. The first regards the adoption of the Schlieffen Plan by the German General Staff in 1905. Clark dismisses the plan as a simple math trick to convince the Reichstag to increase funding for the military. So far so good. However, he never really comes back to it again in the narrative despite the fact that the German General Staff maintained it as their primary operational plan for the war that broke out 9 years later. I doubt this is because Clark doesn't know this, he simply chooses to leave it out. It is telling that he leaves this out because his narrative is more than long enough to address this issue. This plan, more than most other pre-war measures, provides us with an insight into the thinking and preconceptions of the framers of the plan. The plan was based upon a reasonable German deduction that a war with Russia or with France would automatically become a war with both. But - it was also a presumption that governed German diplomacy as much as it did its military planning. 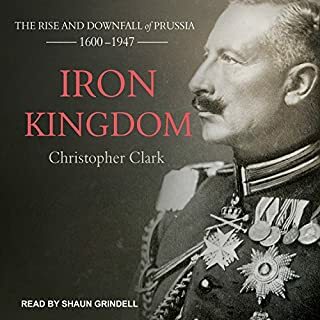 Since Clark's the purpose is to present a revisionist interpretation of the outbreak of World War 1, the continued German acceptance of the Schlieffen plan (and especially their use of it in 1914) does not fit in, so it is left out. This leads to the other example I wish to cite which is partially related to the first one; this one is from the July-August Crisis. While bringing up many of the same claims about France and Russian policies during the crisis used in the 1920s and 30s to lay responsibility for the war at the feet of those powers, Clark does not even discuss the German ultimatums to France or Belgium. These ultimatums, even in light of all the other demands powers were making on each other in that late summer, were extremely harsh and would be hard to explain in the context of his larger argument. However, he does spend a great deal of prose one on the demands of other powers. Again, it is not because the author is unaware of the ultimatums or the harshness of them. It is because he is forcing a narrative toward a revisionist interpretation. By not including that discussion, a reader could easily wonder if the author really embraces his own thesis. Having said that, I need to point out that the author does add one interesting wrinkle to his discussion which is not frequently raised; he combined Britain's decision-making more closely with France and Russia than is usually done. This was newer, but was not convincing either. Britain's responsibilities for the outbreak of the war are generally treated on their own when a particular author wishes to blame the war on Britain primarily. Clark only makes Britain an accessory. To his credit, Clark's treatment of the Serbian part of the origins of the war is one of the best. This is well shown in Clark's discussions on the chaotic conditions of the Serbian government, its bloody history, and the role these factors played in driving Serbian toward such reckless policies. Most of this information is not new to Clark's treatment, but the presentation is very well done and the analysis is superb. The ties of the Russian pan-slavs to the Serbian action could have been more developed or made a bit more clear. There were some shadowy connections between the two which could have been explored more fully and Clark could have used these connections to great effect in support of his thesis because it would have thrown relief onto the irresponsible nature of Russian foreign policy. In sum, I found the work to be a bold but unconvincing attempt at revision. In the world of revisionist history, however, it is pretty impressive because of the immense amount of information the author brought to his discussion. But the amount of information Clark uses causes his simple thesis more problems than it solves. AJP Taylor once wrote a revisionist history of the causes of WW2. Taylor's presentation, much like Clark's here, left the reader with the feeling that the author was simply being revisionist for the sake of being revisionist. However, Taylor's presentation was light and clever -- and a pretty brand new perspective back in 1961. He did not overburden his argument as much information as Clark does sin "Sleepwalkers." As a consequence, Taylor's work could be taken for what it was; a challenge to think from different and untried angles. Clark's effort does not do this. It is far more serious and far more weighty. It brings so much well-know information to the table that when it leaves out items so integral to the story as the Schlieffen Plan and the German ultimatums, one has to wonder if his argument is more contrived than real. Also, it does not really break any new ground. Much of it reflects the interpretations of the war's outbreak from long ago -- at a time when much of the western world was beginning to think the victorious allies were overly harsh and proscriptive toward Germany and, at the same time that Great Britain and France themselves were beginning to realize that they simply did not have the power or will to maintain the post-war order. I do think the work merits reading. It is well researched and Clark brings a great deal of material to the reader in one volume. At a certain level, it forces its readers to remember all the things they learned about the outbreak of the war and think about them. More importantly, it serves as a great trigger to engaging the reader's own ideas about the origins of the war and in the weighing of cause and effect while appreciating the the subtleties of critical thinking. The convoluted story and complicated explanation of the many nations and diplomatic arrangements that finally led us to the First World War - - this is what Christopher Clark explains in a very good way. He is fair to all the parties and careful with the sources. To whom does he assign blame? The answer is that no one and everyone is to blame. The cheerleading for Clark needs to stop. It is encouraging to see that some criticism of the recent revisionist school of First World War responsibility represented by Clark has finally been surfacing after so much effusive glad-handing. Let me submit, however, that it will take a more comprehensive and wide-ranging critique to expose the fallacies of equality of responsibility with which Chris Clark, for all his many merits, has so effectively beguiled the field. First, let it be said those merits are not thin: in some cases a more evenhanded telling of the crises that preceded the war; the resurrection of under-appreciated events like the Italian invasion of Libya; the focusing on the inner workings of the various European power centers; what should be the nail in the coffin of the assertion that the Serbian response to the Austrian ultimatumtl all but accepted its demands; a fuller appreciation of the desire of significant elements within the French and Russian governments for war under the right circumstances; proof that the July Crisis was not a calculated and long-planned German plot designed to bring about a preventive European war. All this coupled with vivid and adroit writing and some genuinely new and original research are not virtues to be discarded without admiration. However, measured against that, in Clark's book The Sleepwalkers and his many stump speeches since promoting its thesis, there are essentially misdirecting rhetorical devices, omissions of events, and incomplete presentations of fact that have been used to understate German and Austrian recklessness and responsibility for this malign war and its baleful consequences. To name a few: his artificial construct of asking how and not why the war came about in order to give a veneer of objectivity to his work and divert focus from factors that indicate greater German responsibility; his insistence that only others play the "blame game" when he does as well; his disdain for presentism while presentism underpins his work; his omission of events in Germany which undercut an understanding of the distinctive features of the German war plan and its determinative role; his use of already discredited assertions by Fritiz Fischer as a foil to highlight the supposed virtues of his thesis; his downplaying of the German-initiated naval race and his incomplete presentation of scholarship on it; his flawed analogies between circa 1914 events and relatively current ones to engender sympathy for German and Austrian actions; his failure to distinguish between affirmative and conclusive actions and responsive and inconclusive actions that led to war and the way the difference appropriately impacts war responsibility. Yet, about the only thing even some of his cheerleaders have found difficult to swallow is his use of the sleepwalkers metaphor for his title. Even there they seem unaware of why he must have used it: true sleepwalkers are not blamed for their actions. It would be my hope scholars within the field would start to explore Clark's failings "head-on" as well as his virtues. The signs are not good. The adulation and financial success that has greeted The Sleepwalkers seem to have swept much of the academy. Some who should be his critics seem almost giddy and overcome with envy when they speak of it. However, perhaps the attractive complexity of the July Crisis and what Clark has rightly called its freshness for today will undermine this trend. We can only trust that what has been called the "long debate" is far from finished. Luigi Albertini wrote some seventy-five years ago, "the final, definite responsibility for the outbreak of the war lies with the German plan of mobilization, while the primary responsibility--and this must never to lost sight of--rests on the actions of the Central Powers who thought they could frighten the other Powers by their strength and thus 'localize the conflict,' but made a thorough miscalculation." It was true then. It was true 100 years ago. It is true today. This is a very in-depth and detailed description behind the causes of The Great War - its important to note that this mainly covers the causes, and not the war itself. The author knows his stuff, the performance is great, and the book is extremely detailed. This is a great deep dive into the nuances leading into WW1. If you really want to get something out of it, read/listen-to Guns of August first. In many ways, this is a response to that book, and others like it. Overall, really interesting, but the reader is a little slow. Sleepwalkers is an engrossing account of the causes of the Great War. Clark’s masterful research completely changed my simplistic “it was Germany’s fault” notion of the origin of the war. 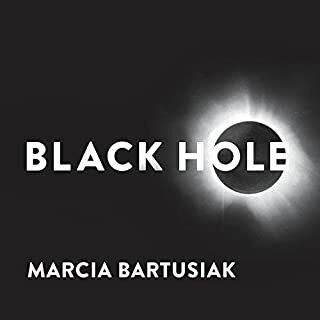 This book sheds fascinating and essential light on the people and politics that lie at the root of the most important events of the 20th century. And, the narration by Derek Perkins is simply outstanding!